Jake Paul Wasn’t Originally ‘Bizaardvark’s Male Lead! 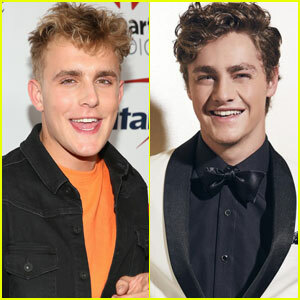 | Jake Paul, Steffan Argus | Just Jared Jr.
Jake Paul totally nailed his role in Bizaardvark, but did you know he wasn’t originally cast as the male lead in the show? Before Jake joined the Bizaardvark, the show was actually called Paige & Frankie and revolved around two friends trying to become famous through their comedic music. While the concept of the show was similar, Jake wasn’t a part of the Paige & Frankie cast and the male lead role was given to actor Steffan Argus. When the show got picked up by Disney Channel, the concept changed and Steffan was unfortunately cut from the cast. “I filmed this pilot. I was so excited about it. It was so much fun and had an amazing cast and crew…the role was perfect. I was like a rocker kid,” Steffan explained to YSBnow.